Square Enix revealed three additional pre-order bonuses for Hitman: Absolution this afternoon. 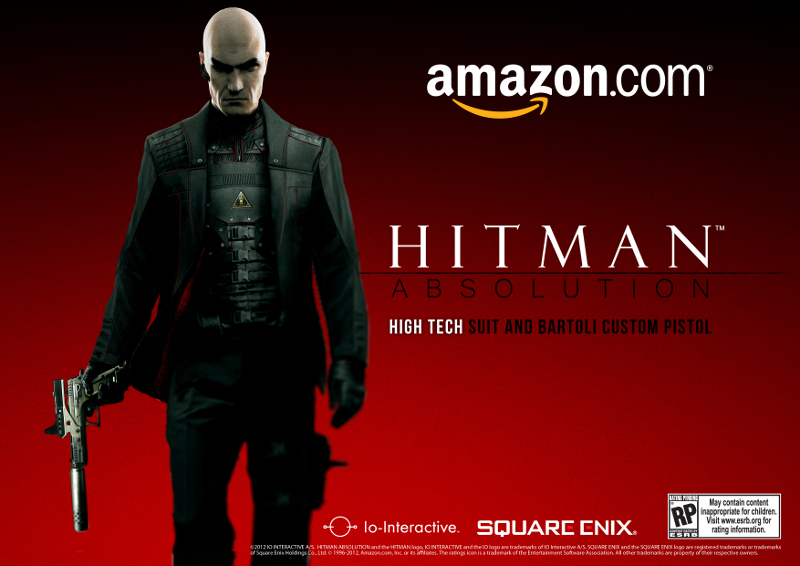 Amazon, Best Buy and Walmart will each offer customers a unique weapon and suit for Agent 47's latest adventure. What's cool about each of these weapon/suit combos is that they provide a distinct look for Agent 47: commando, James Bond, or gangster. Granted, most gamers aren't playing Hitman to obsess over fashion but I'm still glad IO put some effort into making sure all these items are cool in their own way. High Tech Suit and Bartoli Custom Pistol -- The advanced High Tech suit provides Agent 47™ with 50% increased armor paired with the Bartoli Custom, an engineered precision weapon, complete with sight and silencer. 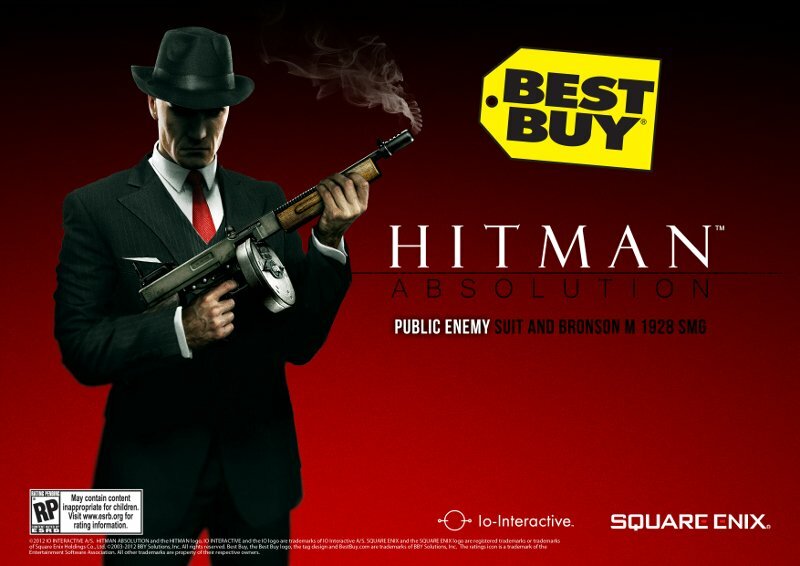 Public Enemy Suit and the Bronson M1928 submachine gun -- The Original Assassin can dress in a stylish Public Enemy gangster suit armed with the Bronson M1928, a classic submachine gun with high fire rate and deadly stopping power. 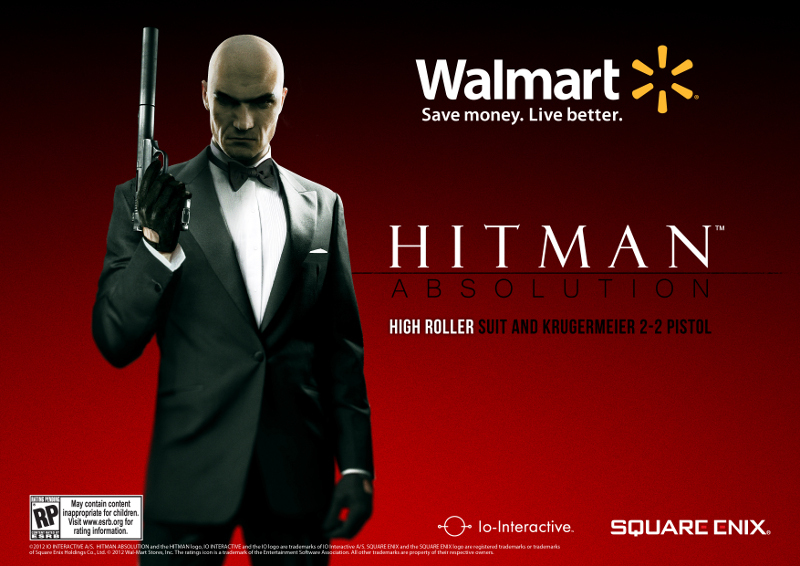 High Roller Suit and the Krugermeier 2-2 Pistol -- The High Roller suit dresses Agent 47 in a fancy tuxedo discreetly outfitted with the Krugermeier, an accurate, reliable stealth weapon with a built-in silencer. Square announced yesterday that GameStop will give its pre-order customers a stand-alone sniper challenge game. A bonus game will probably be more popular than bonus items. Still, if you want a closer look at the pre-order suits and weapons, check out the screenshots below. The steady drip of Absolution news from Square Enix makes me wonder whether they're gearing up to announce a release date. All we know so far is that the game will be arriving later in the year.